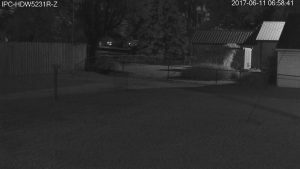 The Dahua IPC-HDW5231R-Z is a 2MP turret / eyeball camera with a varifocal lens for 4x optical zoom and a Sony Starvis Exmor-R image sensor that can really see well in low light conditions. 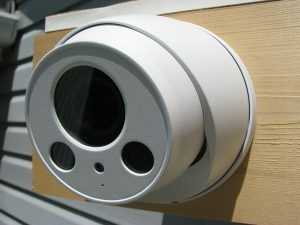 These cameras are made for the international market and are available worldwide. Keep reading my review to see what I like about them and what to watch out for. 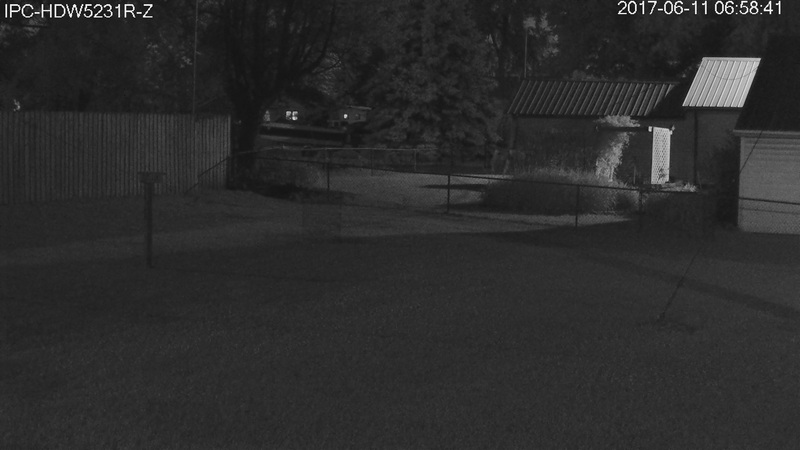 These cameras come set to a default IP address of 192.168.1.108 just like most other Dahua cameras. If your local network is 192.168.1.0/24 and you leave that .108 address open, you can easily power up the camera and access it with the web browser of your choice. 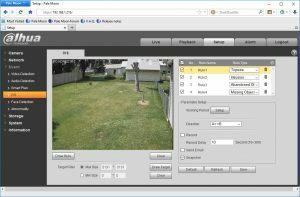 I recommend Pale Moon web browser now because it works well with the Dahua “webplugin.exe” plugin that’s required to view video from the camera. You can still configure the camera without the plugin, but you won’t be able to make adjustments that require you to view or interact with the video stream. I also mentioned this “webplugin.exe” in my Dahua IPC-HFW4431R-Z camera review, and found out that each of these two camera model requires its own plugin to view video, and can’t use the plugin that’s used with the other model camera. Both are called webplugin.exe version 3.00.3 but the files are slightly different in file size and functionality. Something to keep in mind if you will be using both the 4431 and 5231 at the same location like I am. The default username and password are both “admin”, and you’ll need to set a new password for the admin account. You’ll also want to change the IP address to a different static IP address of your choice. 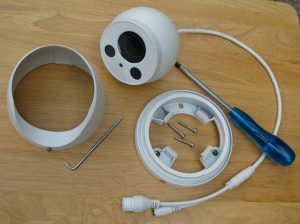 The installation and adjustment of the camera is straight forward and similar to most other turret / eyeball cameras. You can point the camera in any direction with the exception that the tilt is only adjustable from 0 to 78°. Keep this in mind when choosing your mounting surface, which can be horizontal like a soffit, vertical like a wall, or even sloped at an angle. Another way to mount the camera is to use the optional PFB203W wall-mount bracket, which allows you to place the camera horizontally on a vertical surface. Loosening the Torx screw in the outer housing allows you to remove the outer housing and the camera itself from the base. 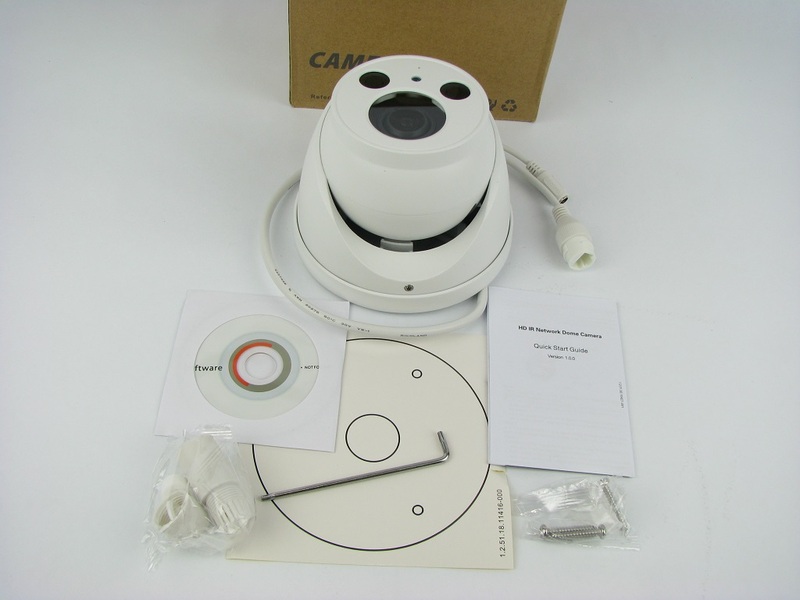 Now you can attach the round camera base to the surface where you plan to mount the camera, or to the optional PFB203W wall-mount bracket if you plan to use that. When mounting the base directly to a surface, simply run your network cable and attach the base using the three screws provided. 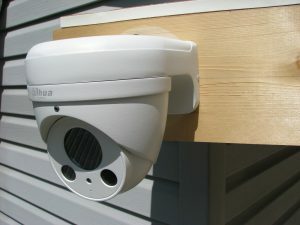 Here is how this camera looks installed on the optional Dahua PFB203W wall-mount bracket, and here is my article describing the installation. Once you set the password, set the IP address, and mount the camera, you are ready to start recording with the video management solution of your choice. 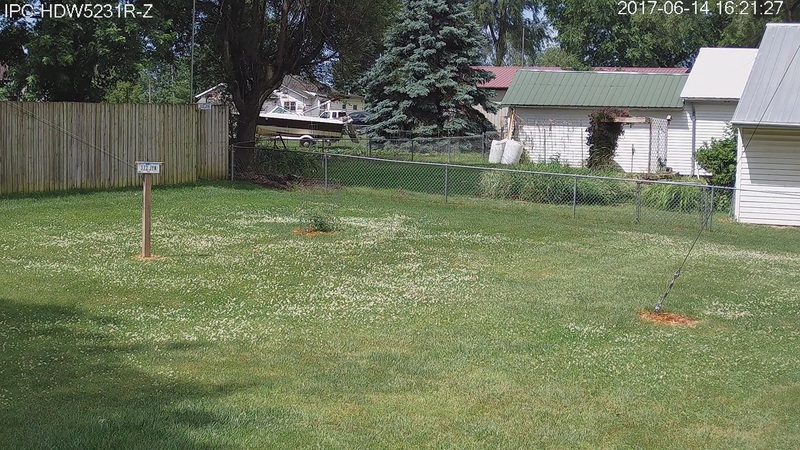 It’s also time to tweak any camera settings if needed and configure some of the more advanced capabilities if desired. IVS stands for Intelligent Video Systems and is Dahua’s advanced video analytics technology. I plan to do a separate review of IVS in the future because there is way too much to cover in detail here. Here’s a screen shot showing where you can configure the following and more. The firmware on this camera can be upgraded and is available in two versions, one for PAL and one for NTSC. Cameras sold as IPC-HDW5231RP-Z come with PAL firmware, and cameras sold as IPC-HDW5231RN-Z come with NTSC firmware. The hardware is all the same and either firmware will run just fine, so you can change from one to the other with no problems. The only difference between them is the available frame rates, with a maximum of 50 fps for PAL and 60 fps for NTSC. You’ll need to remove the three screws that hold the two halves of the camera body together, and carefully separate the body to access the internal microSD card slot. Be careful to not damage the wires and be sure to leave the desiccant pack inside since it’s there to remove any moisture from inside the camera. Insert the microSD card of your choice up to 128 GB in size into the slot which is labeled J4. Cards designed for continuous video recording are recommended over cheaper options that aren’t designed for this. My favorites are the Sandisk High Endurance and the Lexar High-Performance 633x. Excellent low light performance. This is obviously the most important feature of this model and the main selling point. It can provide a very usable image in low light conditions that leave lesser cameras and even my own eyes unable to see much of anything. Varifocal lens. 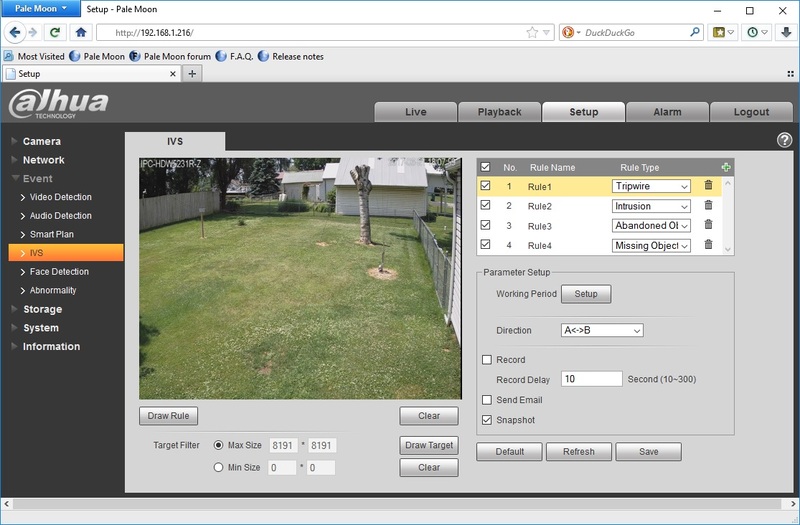 You can remotely set the field of view and zoom level as needed for each camera. It works smoothly and reliably, and after using it you’ll never want fixed lens cameras again. Rugged and weatherproof. The sealed, solid metal housing is perfect for almost any outdoor environment, and of course works well indoors too. Wide input voltage tolerance. While most people will be using PoE to power this camera, I also like the fact that it can be powered by 12 Volts DC with a voltage tolerance of ±30%. That’s a range of 8.4 to 15.6 volts! This would be very helpful in off-grid installations where you may want to power the camera from a battery and charging system, which is a higher voltage that’s outside of the range allowed by most camera manufacturers and models. This camera is very versatile and easy to get pointing in almost any direction as long as you keep the limited tilt adjustment that I mentioned earlier in mind. If you happen to forget about that and mount it in the wrong orientation, you might not be able to get it to point quite as high or low as you want, and will need to remount it again in the proper orientation. 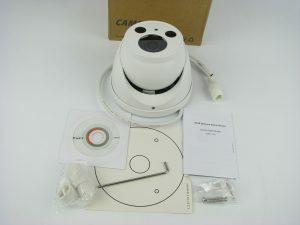 It’s not really a flaw, but you need to be aware of this before picking a mounting location and installing the camera. The set screw that secures the camera in position doesn’t require a security bit and just needs a standard Torx T10. The set screw that locks the wall-mount bracket also just requires a standard 3 mm hex key / Allen wrench. Be sure your cameras are mounted so they won’t be subjected to tampering since Dahua doesn’t use security screws like many other brands do. Not a big deal but something to be aware of when planning camera locations. 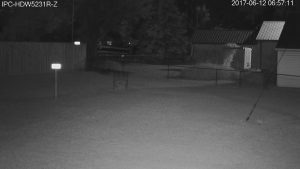 The excellent low light performance of this camera is the main reason you should consider it as part of your surveillance system. 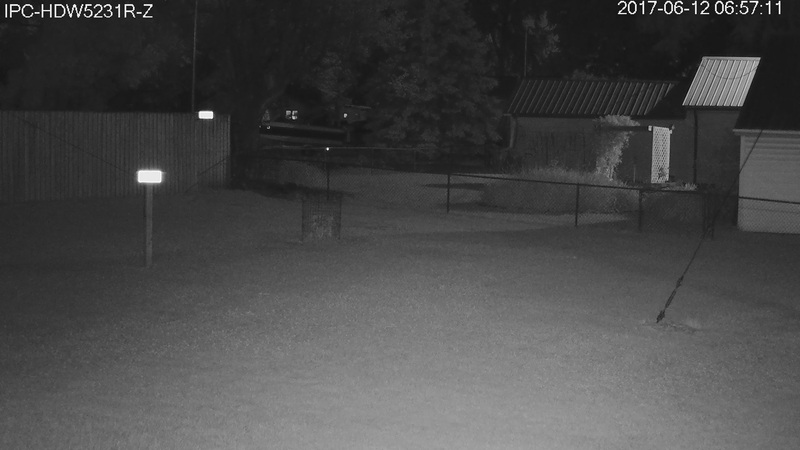 Even with its internal IR turned off it can see better in the dark than my aging eyes can. In these sample images I can’t see much of anything out there, and some of the shadows in the snapshots are from partial moonlight. 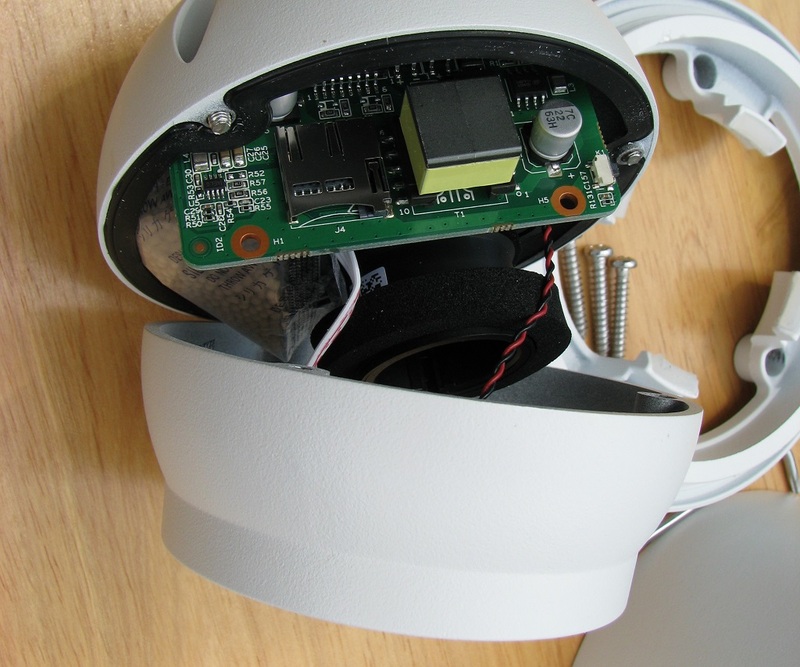 Leave the internal IR on and it can see in complete darkness with ease. On top of the great night vision, there’s the motorized varifocal lens and all of the other great features I talked about above. I don’t think you can find anything else with all of these features that can perform this well in low light, at anything close to the price of the Dahua IPC-HDW5231R-Z. Here’s a link to the Dahua IPC-5231R-Z specification sheet. Click here to find the best price on Ebay! me on the mounting and view issue. the 1.3MP before the 4300s versions. Way cheaper now, I paid 190.00 per bullet. Hi Clay, glad to hear that you found it helpful and thanks for visiting. Do you have the spefication for the range ? I mean how high and distance at angle it can record? Since this camera has a varifocal lens you can adjust it remotely to best suite your particular situation and desired field of view. Dahua says that the FOV is adjustable from 97° to 34° horizontally and from 52° to 20° vertically. The maximum usable range is up to you and how much detail you need. Thanks for the review, and pictures out of the box. I recently bought 8 of the IPC-HDW5231R-ZE, as well as the NVR5416-16P-4KS2E NVR. You’re very welcome, glad I could help a little bit. That sounds like a great surveillance system that you’re building there! There are several possible reasons that you cannot access the camera. You probably already checked this, but make sure the camera is powered on by PoE or 12 VDC. The most likely cause is that your network subnet is different than the one used by the camera default IP address. If that’s the case you can connect your PC and the camera to a network switch and manually configure the IP address of your PC to something in the camera’s subnet like 192.168.1.109 with a subnet mask of 255.255.255.0. Then you should be able to access the camera and change the camera’s IP address to DHCP or something that works on your network. Once that’s done you can change your PC back to DHCP and connect everything normally again, and access the camera at its new address.